WHAT IS SAIn POLITICAL PARTY? Hunger is a political genocide that condemns 80% of humanity and kills 100,000 people a day, 50% of whom are children. 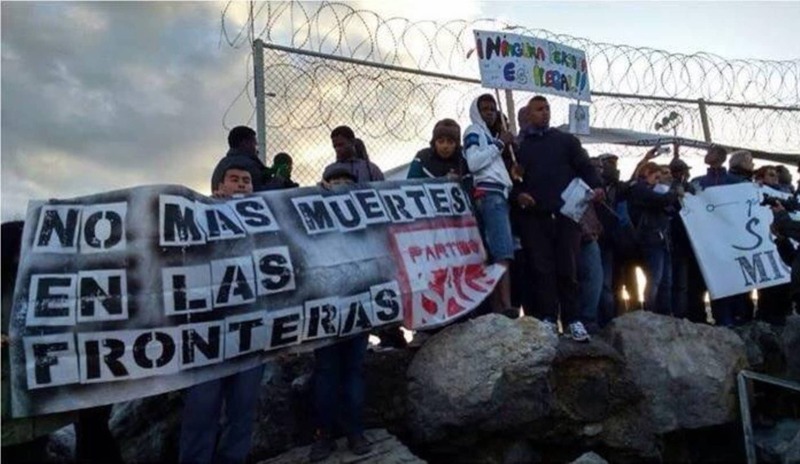 More than 7,000 immigrants drown because plundering and hunger force them to emigrate from Africa to Spain, while politicians turn a blind eye. 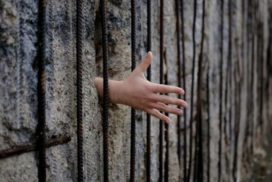 More than 400 million children are enslaved while governments, parliamentary political parties and trade unions remain silent. 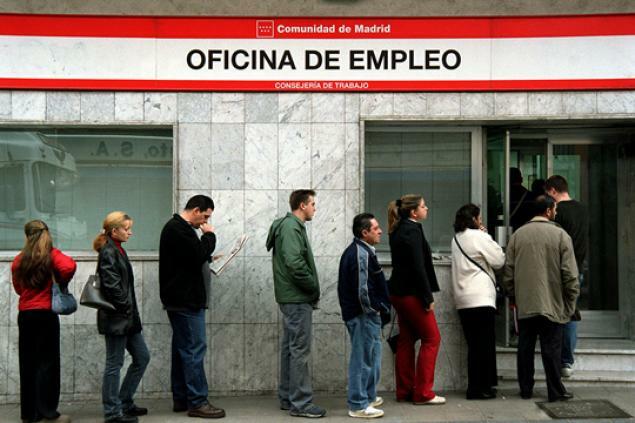 Junk contracts represent 90% of work offered in Spain, particularly affecting women, young people and immigrants. Meanwhile, MPs and senators grant themselves scandalous salaries, pensions and privileges. Millions of children are aborted every year. 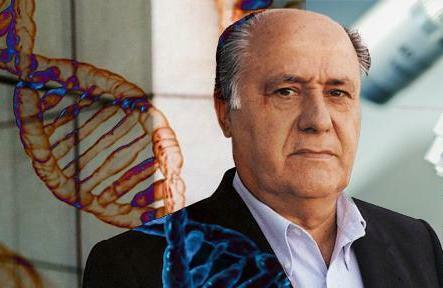 100,000 are estimated in Spain alone; in addition, the lives of 200,000 human embryos are in play. Political parties make it possible to speculate on housing, violating a constitutional right and benefiting banks to which they owe over 80 million Euros. SAIn Political Party(Internationalist Self-Management and Solidarity) comes from the history of the struggle of the impoverished of the Earth. 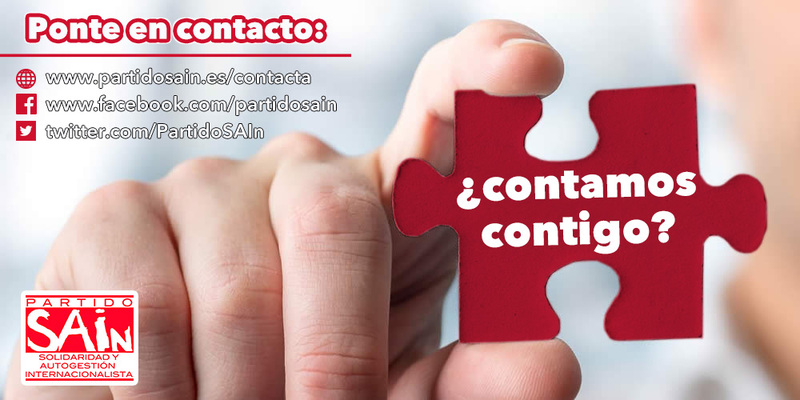 Militants of SAIn political party work in apostolic organizations that opposed Franquism from the very beginning and have fostered Christian labor militancy; whereas the PSOE went on holiday for 40 years and gave up the militant cause. Hunger, which is suffered by 80% of humanity. 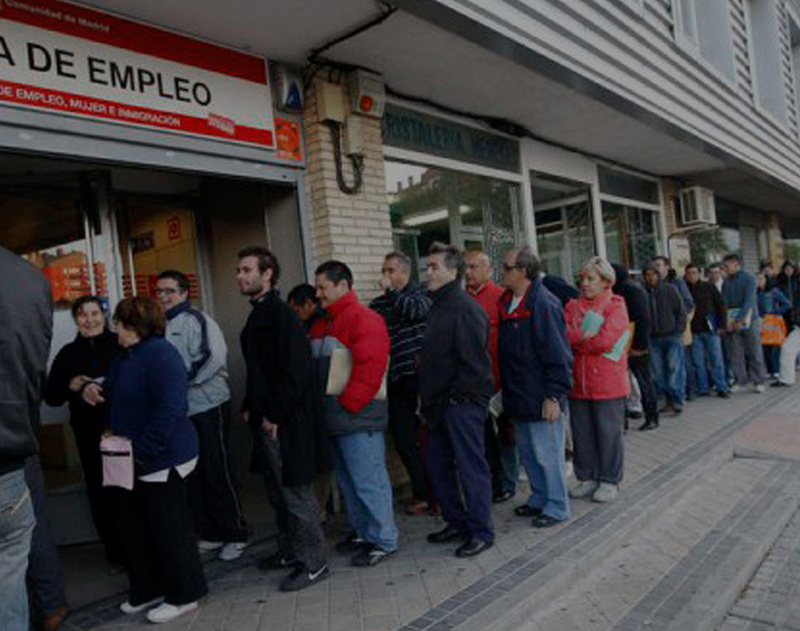 Unemployment and exploitation for more than 1,600 million people. 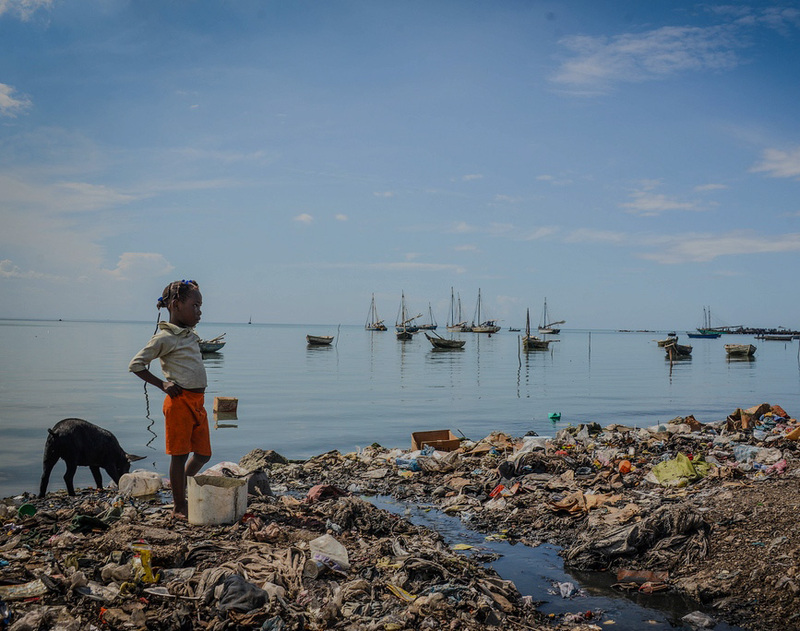 Child slavery, which condemns more than 400 million children. Hunger is the greatest political problem of humanity. We have enough resources to put an end to it immediately but the dominant political parties lack the political will to do so. PSOE, PP, IU and all nationalist parties support the political order that originates these injustices. None of them has internal democracy. None of them can promote real democracy (self-management) in society. For this reason we created a political party willing to carry out the revolution that will eradicate hunger. 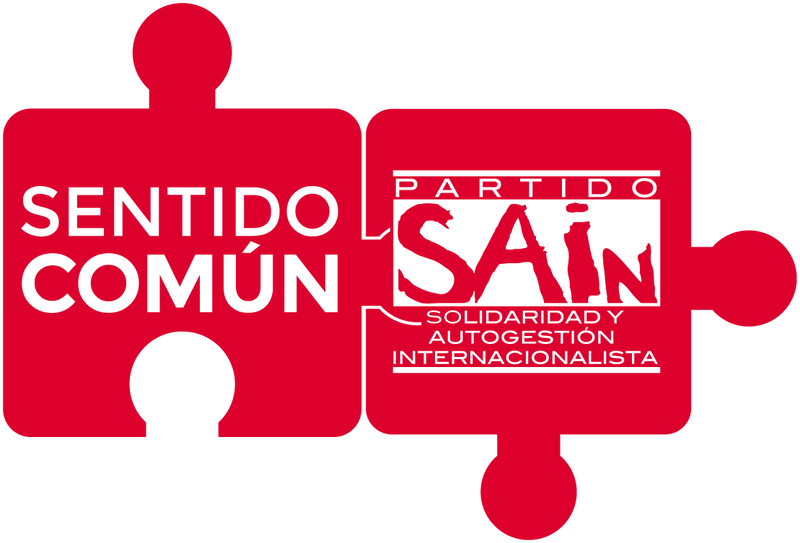 In 2003 we founded SAIn, the first self-managed party in Spanish political history. The eradication of hunger and solidarity with impoverished immigrants. We work towards a Spanish society that fight against the political genocide of hunger that kills 100,000 people a day and forces millions to emigrate. The end of unemployment and labor exploitation. We demand full permanent employment for all workers and a fair and dignified salary. The eradication of child slavery. We work to denounce and eliminate one of the most shameful evils of our time before the complicity and silence of international organizations. Real democracy (self-management). Power of the people, by the people and for the people. Defense of religious freedom and recognition of the contribution of the Catholic Church to the integral and collective promotion of the person, especially of the impoverished, to the culture of solidarity in Europe and to the struggle for justice. Fight against political corruption. Lowering of the elected representatives’ salaries to the national minimum wage level and funding of political parties exclusively by the financial contribution made by their members. For solidarity in Spain. No to nationalism. No to terrorism. Yes to solidarity between the regions of Spain and between the peoples of the Earth, especially the most impoverished. Yes to internationalism. Promotion of the family as source and school of solidarity. The family, who live solidarity, must be the basic cell of the social structure and the starting point for political organization. Promotion of education defined by solidarity and self-management. In the face of the present education system, we defend parents as those who are primarily responsible for the education of their children. Defense of human life from conception to natural death: no to abortion, no to the manipulation of human embryos, no to euthanasia. 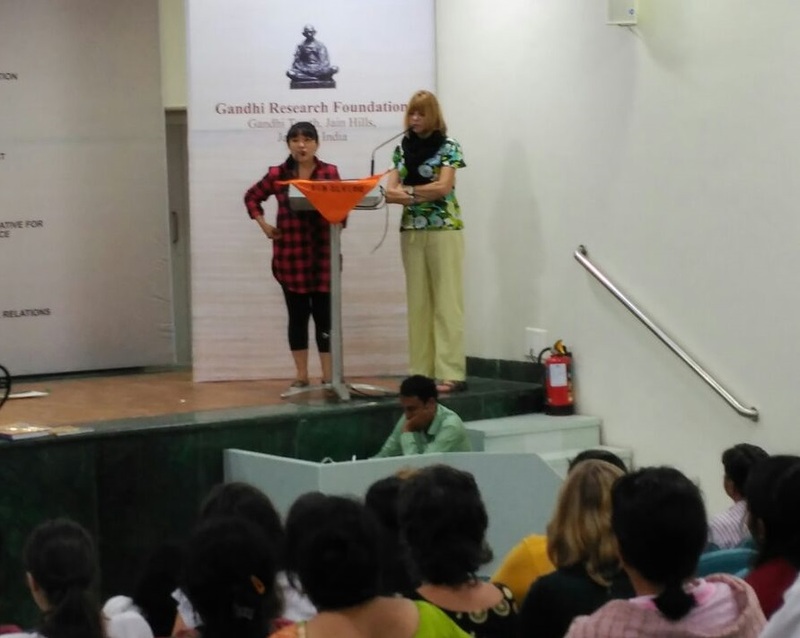 Opposition to real estate speculation: the right to an adequate and dignified home for everyone. SOLIDARITY: sharing everything, even what is necessary to live. SELF-MANAGEMENT: power of the people, by the people and for the INTERNATIONALISM: neither flags nor frontiers.